We invite you on an exciting voyage to the enigmatic land of Ethiopia. This is a land of breathtaking natural wonders, ancient and vibrant urban centres, and some of the holiest and most awe-inspiring sites in Africa. Ethiopia is a paradise to visit, with an agreeable climate and friendly people. From the buzzing cities of Addis Ababa and Lalibela to the relaxing town of Bahir Dar on the unspoiled shore of Lake Tana we make our way through the sun-drenched country, spotting lush fauna and migratory birds on the way. Time seems to have stood still in the archaeological sites of Gondar and Axum, where we visit legendary ecclesiastical sites and marvel at their continued use. With carefully chosen excursions to lesser-known destinations, we offer an unparalleled perspective of the history, arts and culture of Ethiopia. The 100% kosher tour and careful selection of the very best hotels permits you to travel comfortably and confidently, and your personal guide is available at all times to make your trip absolutely enjoyable. Furthermore, our bespoke itinerary offers a unique look at the history and current lifestyle of the Jewish diaspora in Ethiopia. Ethiopia welcomes you – discover it with Deluxe Kosher Tours. We depart on our overnight flight to Addis Ababa, the capital city of Ethiopia. Enjoy kosher meals and in-flight entertainment during your journey, or read some of our suggested books about Ethiopia (see above). Upon arrival in Addis Ababa Bole International Airport we are welcomed to Ethiopia by our carefully-selected personal Deluxe Kosher Tours tour director. 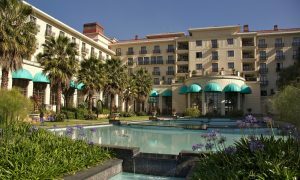 They will bring us to our luxury hotel, the Addis Sheraton, and offer an introduction to Ethiopia and Addis Serving as a gateway into Ethiopia and meeting place for locals, the 19th century city of Addis Ababa seems ancient and enigmatic. 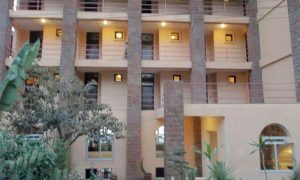 Its location in the highest parts of the Entoto mountain chain provides the area a pleasant climate throughout the year. Ababa. Our Ethiopian adventure begins with a small tour of Addis Ababa’s must-see attractions. We climb Entoto Hill, which provides terrific views of the landscape below, before continuing to the gorgeous Holy Trinity Cathedral and St. George's Cathedral. If there is time we finish our tour at the Ethnological Museum, where we can learn more about Ethiopian ways of life. In the evening there is plenty of time to relax in the hotel, or feel free to explore the sights and sounds of the local neighbourhood. After breakfast we make our way to the airport for our transfer to Bahir Dar. Built on the shore of Lake Tana’s shimmering azure waters, this heavenly town is filled with peaceful neighbourhoods, friendly people, and a relaxed, carefree atmosphere. 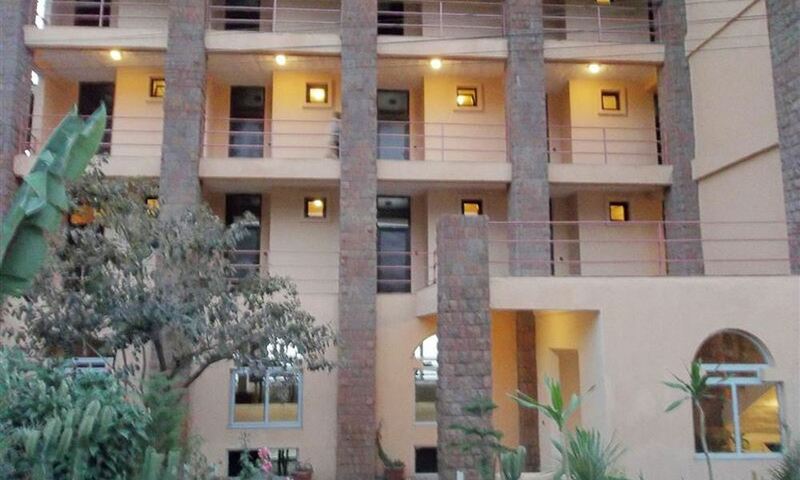 We are met at the hotel by our personal tour guide, who brings us to the Avanti Blue Nile Hotel to check in. We make our way to Tissiat (Smoking Water), also known as the Blue Nile Falls – an awe-inspiring torrent on water that fall over 45m (150 ft), leaving the lush green landscape covered in rainbow-tinted clouds. After lunch we embark on a boat cruise of Lake Tana, visiting the famous island-monasteries of Ura Kidane Mihret, Azua Maryam, Debre Maryam and more. Many of these monasteries were founded in the 14th century, “rediscovered” in the 1930s by the British explorer Major Robert Cheesman. On the island we can admire the harmonious architecture and beautiful wall paintings of the monastic complexes, as well as the stunning views of the surrounding lake. Later we return to Bahir Dar for our meal and a relaxing evening. In the morning we set off on a pleasant drive north through the countryside to the town of Gondar, the ancient capital of both the Ethiopian Empire and the subsequent Begemder Province. Our drive brings you through stunning wetlands, where you can view unique Ethiopian flora and fauna such as African ducks, the Black-headed Heron, kingfishers and the Black-crowned crane. On the way we stop off at Ambober, where we can visit the old and new synagogues and learn about the fascinating history of the Jewish diaspora in Ethiopia. 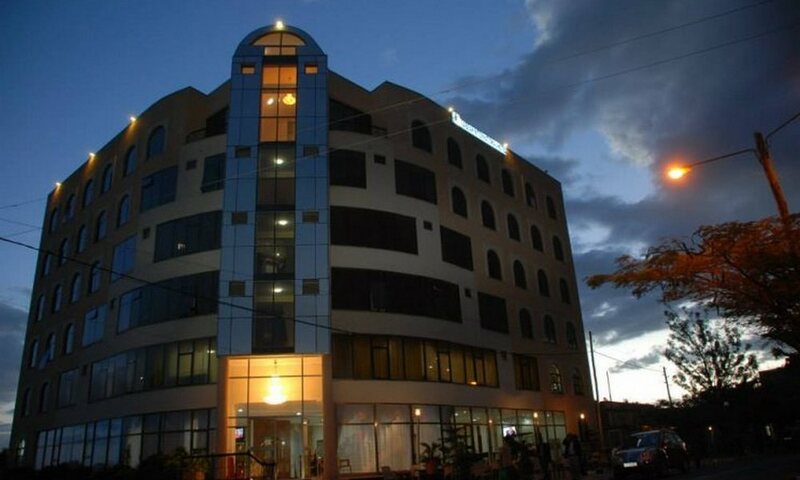 When we arrive at Gondar we check in to the Goha Hotel, and you have the rest of the evening free to explore the local neighbourhood or relax in the hotel. Our day is dedicated to learning about the history and current lives of Jews in Gondar. After breakfast we make our way to the Gondar Feeding Centre, an institution dedicated to serving and loving local widows, children and the elderly in dire need. We learn about the JDC clinic, an organisation that strives to advance the health and wellbeing of those living in the Gondar region by providing medical care and education. Many of those in need are Falash Mura Jews, who are cared for thanks to the funding provided by the North American Conference on Ethiopian Jewry and the health clinics run by the American Jewish Joint Distribution Committee. Later we make our way to the town of Gundu Gabriel, a town that contains one of the oldest surviving communities of Ethiopian Jews in the country, before returning to Gondar for our evening meal. We set off on a walking tour of Wolleqa. This was once the centre of Jewish activity in Ethiopia before they were airlifted to Israel during Operation Solomon in 1991. Here we spend the day exploring the old Jewish sites of the town, viewing the abandoned Beta Israel synagogue and having some of our services. 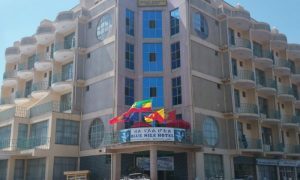 Later we return to the hotel in Gondar to prepare for the Shabbat. After the Shabbat services and lunch with the local community you are free to explore the sights and sounds of Gondar. The town is steeped in history, contains numerous ancient ruins and architectural wonders, as well as sumptuous gardens to relax in. Today we enjoy a comprehensive tour of the city. After breakfast we visit the Fasil Ghebbi, a royal fortress dating from the 17th century. We continue on to the Fasiladas Bath, where during the Timkat (Ethiopian Orthodox celebration of Epiphany) worshippers are blessed with the water from the pool. Our tour continues at the Debre Berhan Selassie Church, which contains amazing frescoes and a unique architectural style, surrounded by imposing fortified walls. Our tour concludes at Empress Mentewab’s Kuskuam Complex, the 18th century royal compound built for the empress to reside in after the death of her husband. This is where the famous Scottish Explore James Bruce stayed in his quest for the source of the Blue Nile in 1770. In the morning we say farewell to Gondar and make our way to the airport for our transport to Lalibela, a northern Ethiopian town famous for its rock-cut cave churches. 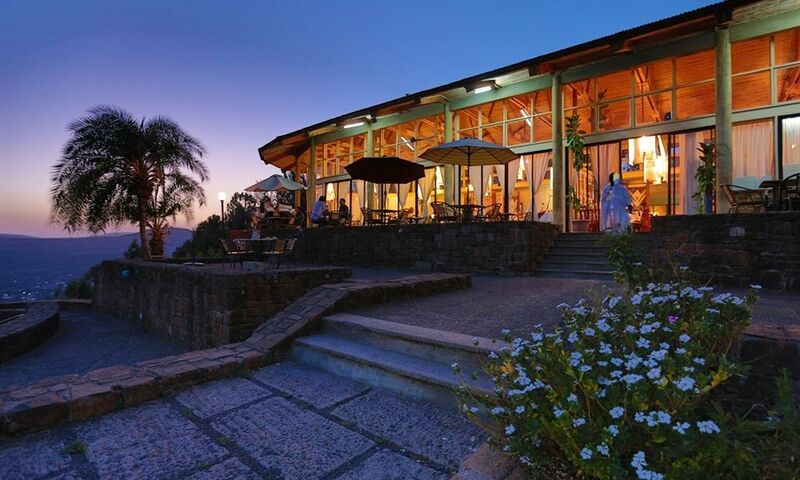 Upon arrival at Lalibela Airport we check in to the Maribela Hotel before setting off on our exploration of the town. Designated a UNESCO World Heritage Site, Lalibela, sometimes named “the New Jerusalem”, is one of Ethiopia's holiest cities and is a centre of pilgrimage to its eleven cave churches. Even the river running through the town is known as the River Jordan. The community was founded by Saint Gebre Lalibela, a member of the Zagwe Dynasty who ruled Ethiopia in the late 12th century and early 13th century. We learn more about the community’s legendary origins as we explore the labyrinthine tunnels and galleries of the cruciform churches that are still used for religious services today. In the evening we enjoy a delicious dinner and relax at the hotel. After breakfast we make an excursion to the cave monastery of Nakuto'leab, followed by a trip to the beautiful Church of St George, which was hewn out of the red volcanic rock in only twenty three years! Set within a deep pit, it is astonishing to think of the effort that was put into the construction of this wonderful building, accessible only by a narrow tunnel leading through a steep chasm. St George is said to have aided in the construction himself – and the monks of the church will be happy to show you the hoof prints of the horse that he rode! Early in the morning we transfer to the airport for our flight to the legendary city of Axum – the land of the Queen of Sheba and ancient capital of the kingdom of Ethiopia during the 10th century. Axum is one of the most exciting places to visit in Ethiopia, as a centre of the country’s history, arts and culture. After checking in to the Sabean Hotel we begin our tour of the city at the Northern Stelae Field and Stelae Museum, where we can learn more about the 3,000 year old archaeological remains of Axum and view precious Tigray cultural treasures. Wander through the forest of magnificent granite stelae, the tallest of which rose to a staggering 22m (75 ft), many of them exquisitely carved with geometric designs, buildings and symbols. In 1980 UNESCO the archaeological sites of Axum to its list of World Heritage Sites due to their historic value. We then make our way to the mythical Queen of Sheba’s Palace, an active archaeological site where the remains of a massive palace have been discovered. We can learn about the story of the Queen of Sheba from our expert tour guide as we explore the chambers of the palace, including the large throne room. We then make our way to the Church of Saint Mary of Zion. Built by Emperor Fasiladas in 1665, this church still facilitates the pilgrimage of thousands of travellers for the annual festival of St Mary in November. This church is said to be the current reliquary of the Ark of the Covenant, housed within a tiny and heavily guarded chapel accessible to only one specially chosen guardian. We visit the adjacent museum to learn more about this holy city and view the priceless artefacts recovered by archaeologists, including bronze jewellery and clay figurines, before returning to the hotel for our final meal together. After breakfast we are brought to the airport for our return flights to Addis Ababa, where we are assisted by our personal guide with the transfer to our flights home. For those wishing to extend their stay in a European city or in Israel Deluxe Kosher Tours would be happy to assist with such arrangements – please phone us to discuss this further.